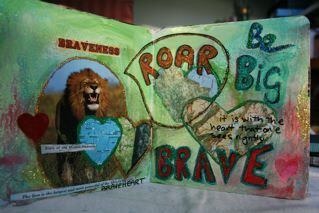 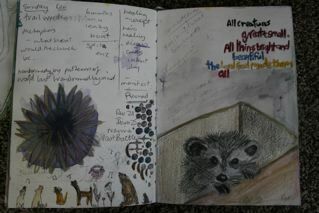 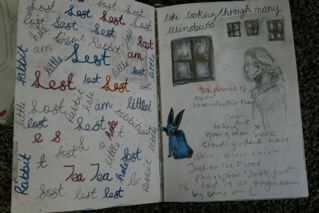 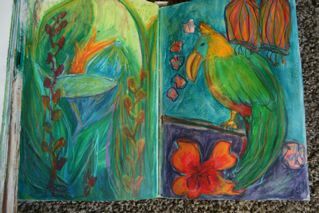 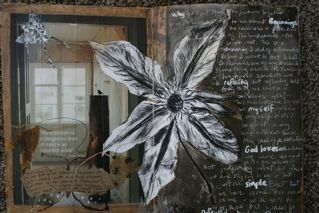 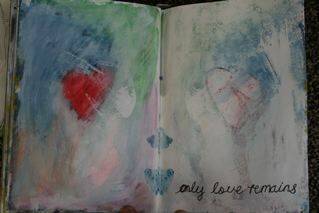 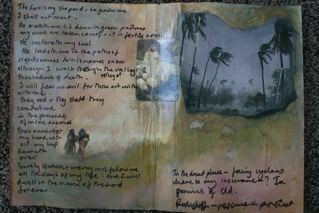 A mixture of journal and illustrative pages. 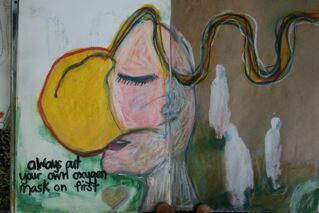 Play and therapeutic. 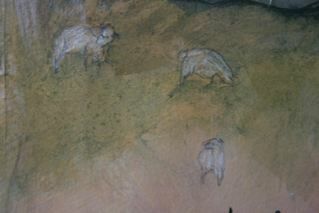 Some not finished, They are just sitting having a a breather. 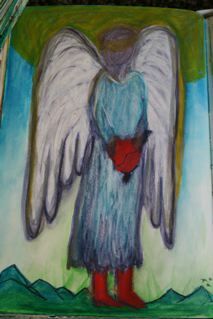 I drew this when I was working at Emergency Psychiatric Services earlier in the year. 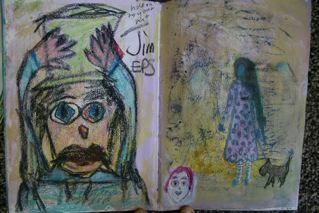 crayon brown paper off the newspaper that is delivered. 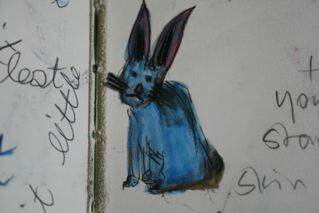 Doodled in Church..My sister does the music and one of her compositions elicited pictures in my mind of all these little critters lifting thier voices too. 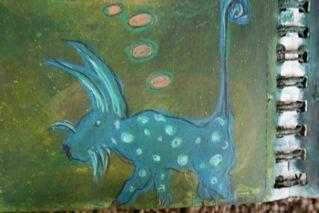 My Dogs alter ego.He is a wheaten cairn terrier,but at night when he hunts Possums he is a fierce blue spotted creature with a purposeful tail..ha! 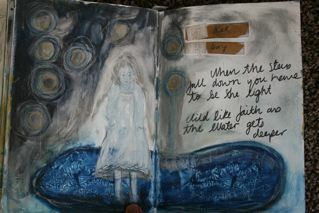 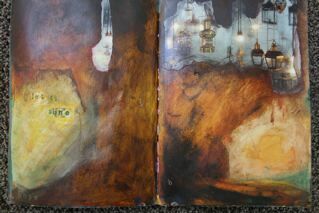 These few pages are a start in a faith Journal I am making as part of 6 degrees I posted some earlier background pages. 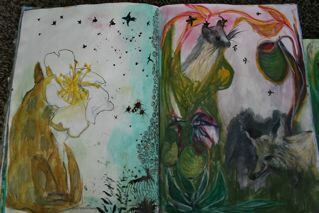 These are some completed ones and the bottom one is still in process. 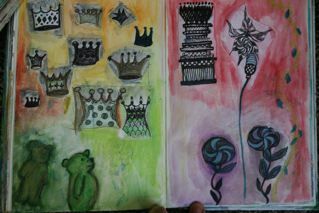 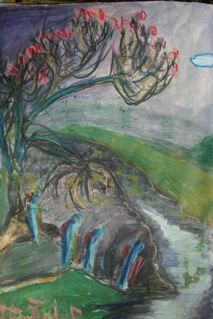 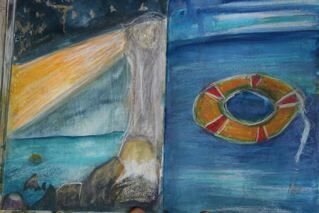 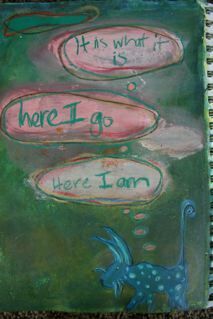 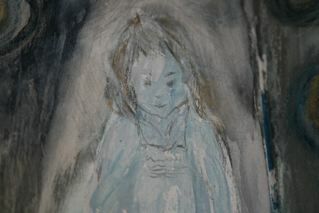 All Acrylic, collage, pencil and water-colour crayon.